This show was broadcast on October 10, 2013. 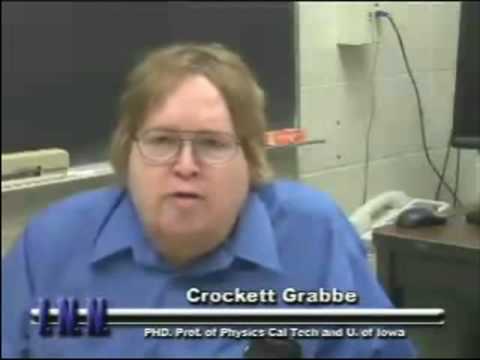 Guest: Crockett Grabbe, a Ph.D. physicist who has published two books on 9/11: National Swindle of the World Trade Center and Anatomy of Mass Murders. He has shredded the NIST cover-up of the 9/11 controlled demolitions in the mainstream Journal of Engineering Mechanics as well as the Journal of 9/11 Studies. Dr. Grabbe will discuss some of the numerous apparent “national security murders” surrounding the 9/11 coverup, and describe attempts made on his life after he became a prestigious scientific critic of the official myth of 9/11. This entry was posted on Tuesday, October 8th, 2013 at 7:41 am	and is filed under 9/11, Anti-War, False Flag/Fake Terror, Freedom, Justice, Kevin Barrett, Protest. You can follow any responses to this entry through the RSS 2.0 feed.